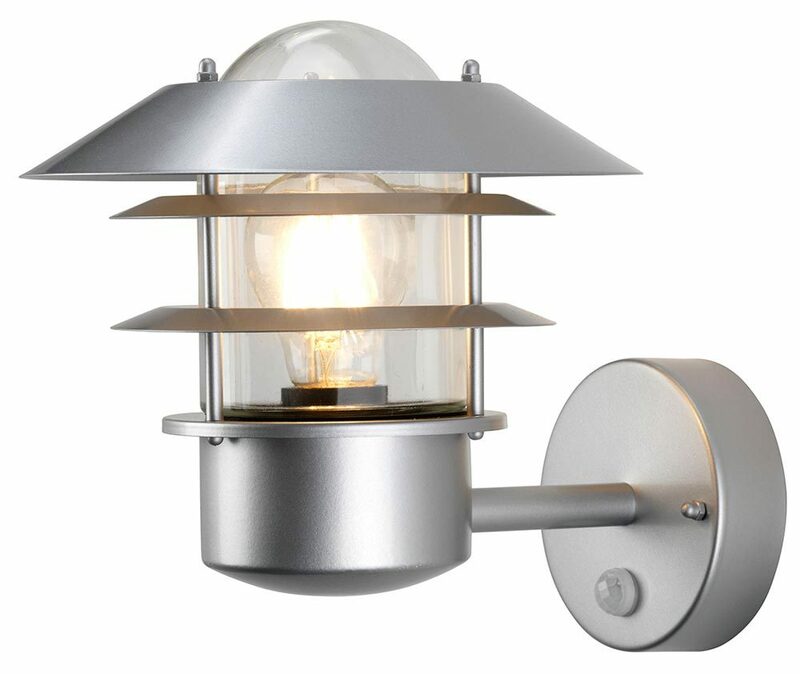 The Elstead Helsingor silver finish 1 light PIR outdoor wall lantern in stainless steel is rated IP44 and features a circular wall mount, straight arm and upright lantern, with integral motion sensor, brimmed roof, protective metalwork and pill glass lantern. Part of the coastal collection and supplied with a manufacturers 15 year anti-corrosion guarantee. This coastal light is supplied by Elstead Lighting, a British company that specialise in the manufacture and distribution of quality decorative lighting such as the Helsingor silver finish 1 light PIR outdoor wall lantern in stainless steel and rated IP44 you see here.